All Sold Thank you for you support! 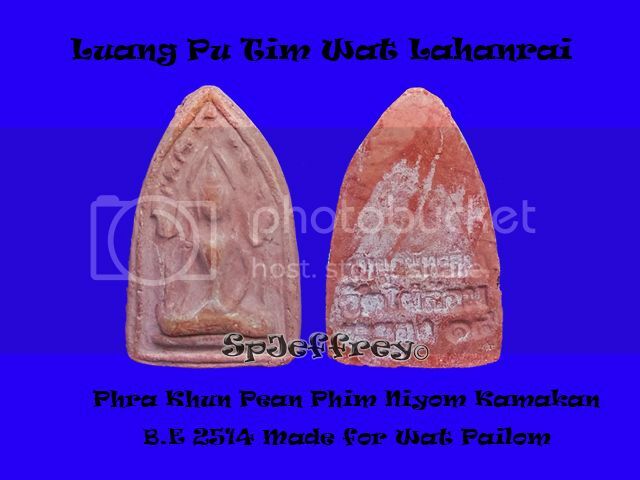 Other than being one of the most affordable Khun pean chanted by Luang Pu Tim himself, the material that use to make the amulet itself is also superior and top of its kind. 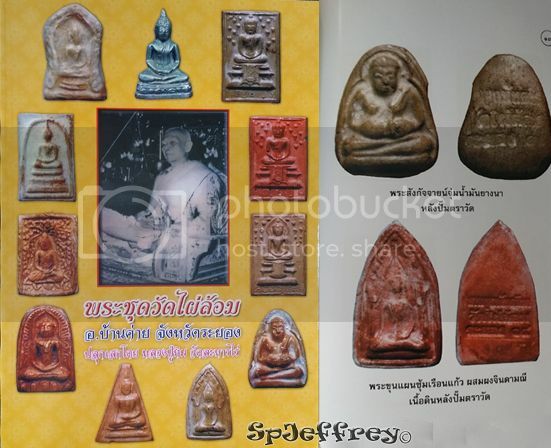 Making the Khun pean effective in metta, maha senah and even kongkapang ( to be loved by surrounding people, Opposite attraction and Protection) Recommended for wearer in all kinds of trades and prices of amulet that Luang Pu Tim have chanted before have been rising over the years. Hence getting one is a ideal choice before it get sky rocketed. A piece not to be missed. Loop Om comes in different sizes as it is hand-made and was taught by Abbot of Wat Pho Sampan and instructed by Luang Pu Tim himself. 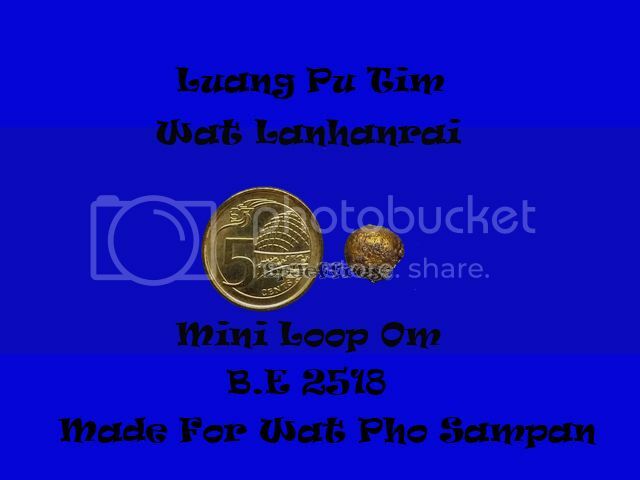 Material used in the loop om were, old amulets, old Buddha bucha, famous Luang Pu Tim's Pong Plaii Kuman powder, Luang Pu Tim's hair and "Saisin" and many other holy items in it. 1 sold, 2 piece on hand left! Airplane material, Made 999 piece only. Kope Kin Chan (Frog eating wealth) Bucha, This bucha is so popular and in demand with the thai's that within one year, 5 batch have been produce as limited pieces is made each time. 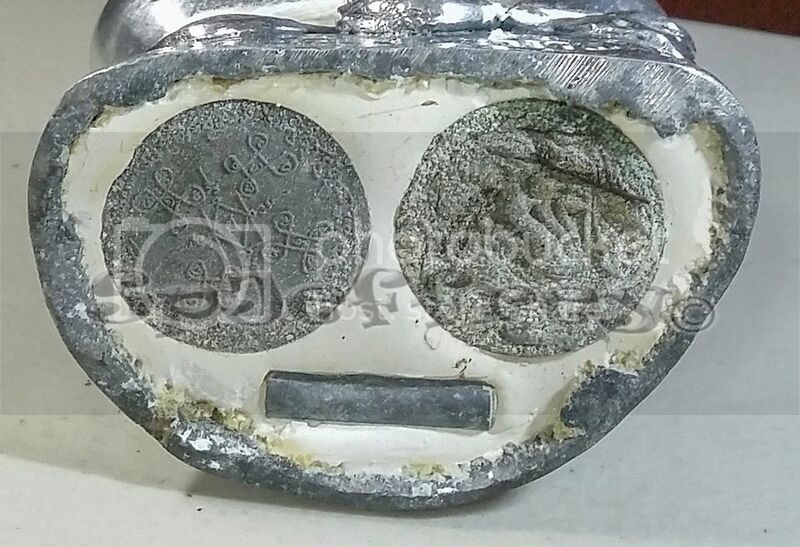 Excellent piece for great fortune, wealth, increasing luck and windfall. 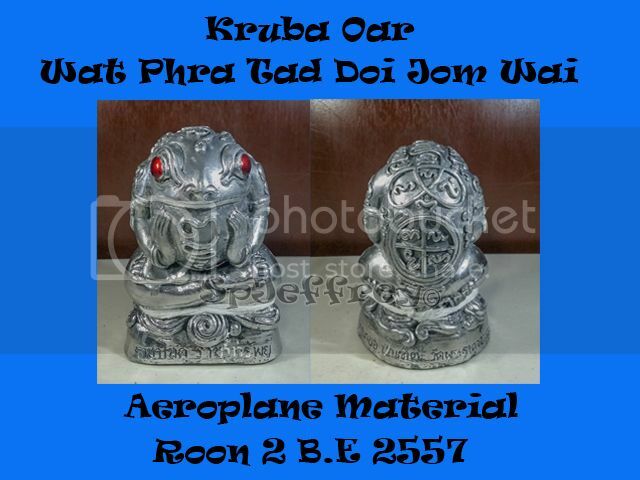 Made with airplane material (very light with weight) and stuffed tarkut and two wealth amulet. It have proven effective hence, it have been in great demand in the market as dealers made their own bucha and let Kruba bless it. As the up coming 6th batch will be the last batch. Batch 2 will be more collectible and effective as many fake have been produce, do take note that each bucha have been stamped with a serial number as 999 pieces have been made only. Locals are snapping up all the remaining amulet there is and unwilling to let out as many of them strike lottery after praying to one of it.